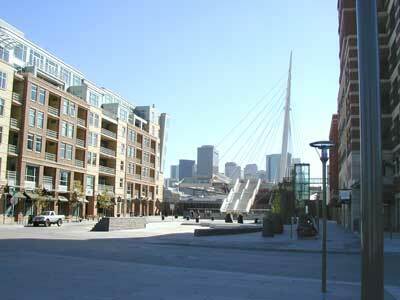 ONE Riverfront earned it's name from East West Partners because it's at the center of everything in downtown Denver. Located right across from Commons Park in Riverfront, it's an easy walk to the Plaza and retail shops including a pub, dining, banking, dry cleaners and more. 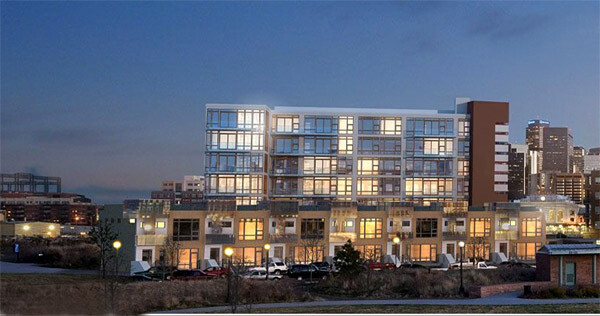 It's next door to Park Place and the new Glass House, that will house the new Riverfront Athletic Club, only accessible to Riverfont Park residents. Out the front door is miles of walking & biking trails along the Platte River and over the Millenium pedestrian bridge is historic Lower Downtown Denver (LoDo), with its endless array of restaurants, pubs, museums and cultural performances. Designed by 4240 Architecture, the building exterior features and abundance of glass and modern architectural concrete with a unique stone-like finish. 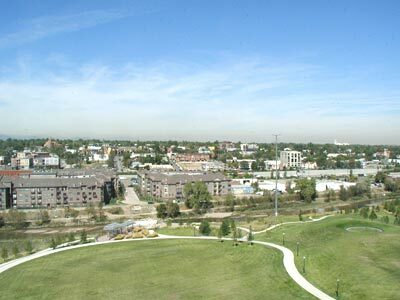 Residential properties here offer city, park and mountain views and some of the highest quality finishes available. Everything at ONE - from the interior design to landscape to windows and cabinetry - is being designed and constructed by professionals who specialize in their specific fields. 1, 2 & 3 bedroom homes with spacious floor plans. Mahogany decked courtyard and one acre of private parks for exclusive use of ONE residents.